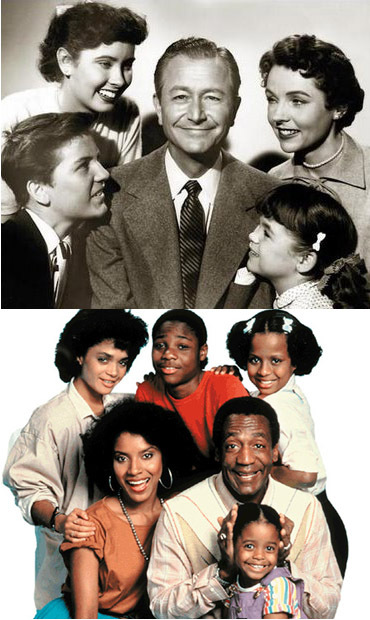 There’s a sort of commonality that play brings to a discussion. From the earliest ‘hit a ball with your foot’ to today’s most demanding video games; there’s a joyous and guttural feeling of ‘Oh! 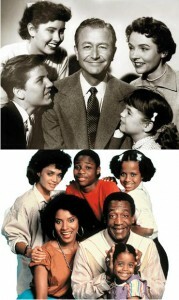 I know that thing!’ when you talk about these shared, social experiences. Virtual Reality is that next ‘thing,’ if it pans out. In this article, I’ll explain why. Watching VR art being created and displayed using Google Tilt Brush. When I got the opportunity to work with Michael Greene on testing out his newly acquired HTC Vive VR headset, I chomped at the bit. I had hoped to try a PlayStation VR unit, but I have not yet had the chance. All of that excitement notwithstanding, I should probably say upfront that I had higher expectations for the Vive than I probably should have, leading to an ultimately disappointing experience in the end. The amount of things that have to be plugged in (the wires are everywhere) with the Vive, could easily turn off elderly or tech-averse consumers. Not only that, you need a very high end computer to run it. A vast majority of consumers do not have the means or desire to buy or build a computer for something in the neighborhood of $2000. Nevertheless, I remain extremely hopeful that future iterations of VR headsets may prove to be more practical. However ,that being said, even though new programs for the Vive come out continuously, quality software can be hard to find. 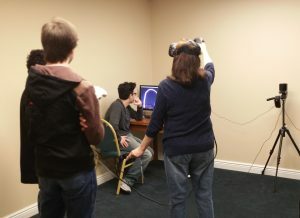 Michael and I, along with three fellow college students, went about testing his new VR setup with the goal of figuring out these assorted problems (cost, space and software) together. Two members of our group, Nick and Andrew, actually recommended parts and built a gaming-spec computer to run the Vive’s (rather demanding) hardware. Evan and I were unable to join in that phase due to being near the end of our college semester, however we helped with software testing and device setup. Over the course of two Saturdays, we had roughly 20 people demo the device. It was a diverse group – ranging in age from just 10 years old to 65 years young. I set about to interview these varied individuals immediately after they had taken their turn, in order to gain a small slice of insight into what different people think about the technology and its use. 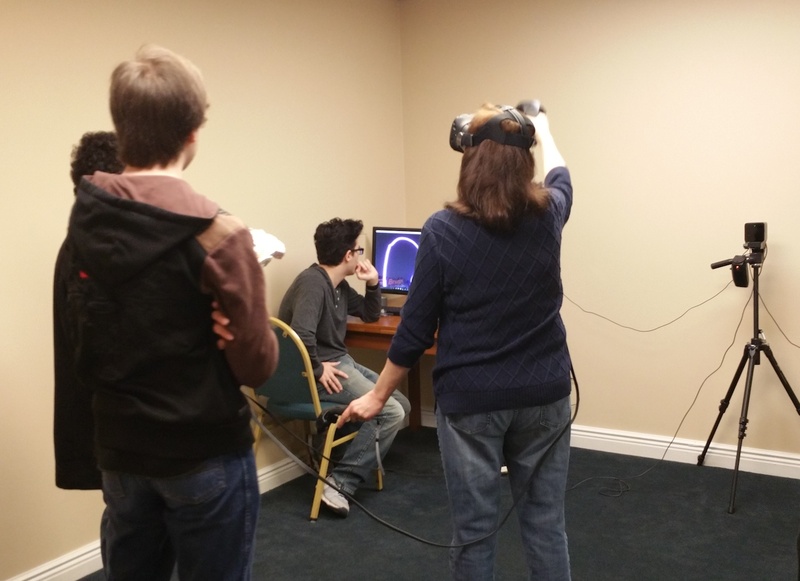 Many of the people who used the Vive were not gamers, nor were they too well versed in technology in general. One person I interviewed, Pat, said that she had watched her kids play games, and could “throw a gnome in [a Harry Potter game].” Two of the testers, Erin and Olivia, were very into video games, and understood the logic for controlling the system. Olivia showed others around a game in which you played as an adventurer. It was interesting seeing her wave around the controllers almost like a Wiimote, much like I did, since that was the closest thing to the Vive controllers available previously. The most interesting interview I did, though, was with my own father. My father seems to actively go out of his way to avoid technology newer than the 8-track cassette or LaserDisc. Even though he has his own business, he doesn’t use a computer system for billing or setting appointments. He still owns a slider phone; what more can I say? After spending some time flying around Google Earth, my dad was undoubtedly quite intrigued by the experience, even though he complained about the limitations of the myriad wires (all of a sudden my dad needs wireless technology?!) One thing that stood out to me was when my dad compared it to the Starship Enterprise’s Holodeck. Huh, even my Luddite dad saw the potential that Virtual Reality shows. That’s what excites me most. As background, prior to becoming a therapist, I worked in the Information Technology field. Much of my time was spent on Internet projects in what the then the relatively early years of the web. Although no longer employed in IT, I have kept up with important trends, particularly emerging consumer oriented technologies that I believe will have a major impact on day-to-day life. Virtual reality and augmented reality (a combination of both the real and “virtual world”) is poised to enter the mainstream with an impact that I believe will be as great as the iPhone and other smart cells. While I am a long-time sci-fi fan and love thinking of new unexplored realms, I’m not saying this is all good news. Clearly the smart phone has facilitated information retrieval and communications, however, it also appears to have contributed towards less “old fashioned” face to face contact as well information overload with a paradoxical acceptance of more shallow explanations for complex phenomena. It seems that with each advance and its accompanying opportunities, we lose important aspects of ourselves as well. Well there I go again – for more philosophizing and a lot of information on the subject, see the article at https://www.michaelgreene.info/vr-in-therapy/. 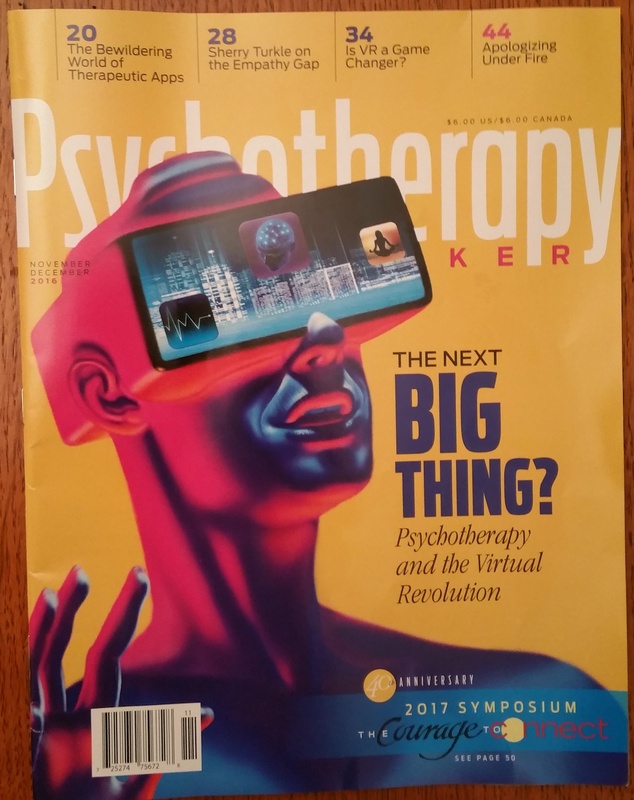 If you do have a subscription to Psychotherapy Networker, you can see it at Is VR a Game Changer? – Virtual Reality in Therapy – In addition, click here for a PDF version if you prefer printed format. 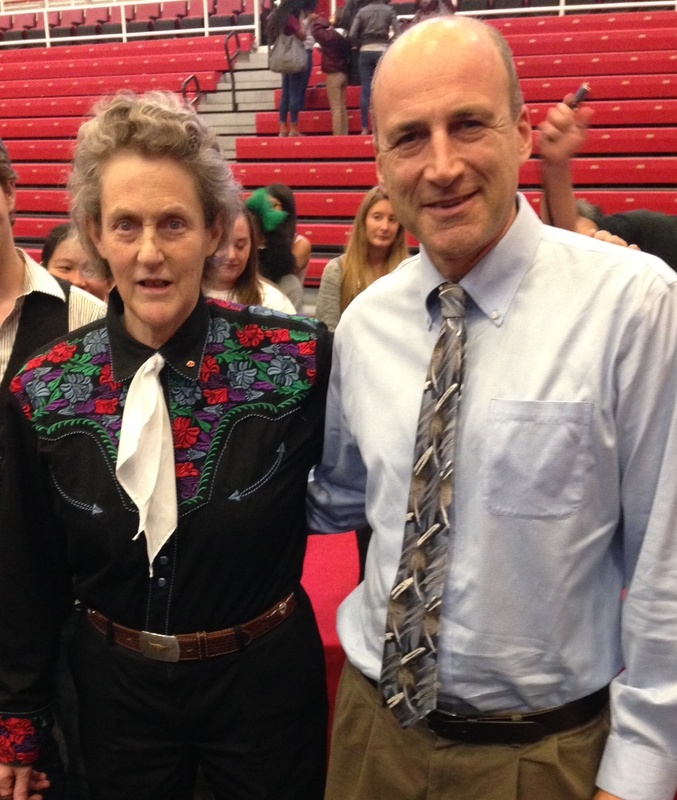 Last week, I had opportunity to hear Temple Grandin author of a number of books including the national bestsellers Thinking in Pictures and Animals in Translation. She is widely acclaimed for her contributions to the field of animal science and in helping the general public better understand autism. With the exception of Sheldon Cooper, the fictional lead in the Big Bang Theory, Temple Grandin is probably the world’s best known autistic person. I’m familiar with some of her work but have never seen her present and found the talk quite thought provoking. She described the state of autism research and shared anecdotes from her own life experience. In explaining how she was able to succeed in spite of, or perhaps because of her ability to “Think Different,” Grandin helps reframe the way we view people on the autism spectrum and in fact, people in general. Grandin compares personality traits to a sound mixing board with its multiple faders, each set to its own level. Within some range of variations we each have a unique mixture of tendencies, inclinations and approaches through which we understand and react to the world. Autistic individuals display a more extreme version of certain traits. Displaying photos of Albert Einstein and Steve Jobs, she posits if they were children today, these two iconic figures might be considered on the spectrum due to significant gaps in their understanding and observance of social mores and appropriateness. They also represent vastly different thinking types, Einstein the mathematician, Jobs a visual thinker, two of the more common types of autistic brains. Grandin relates that she is a very pronounced visual thinker and was able to build upon this talent to create a career marked with notable contributions to her field. Building upon strengths is one of Grandin’s main themes. She notes the importance of allowing children to discover what they are interested in and then helping them expand upon it. A child who loves Legos should fully and frequently play with them but as time moves on, he/she should be encouraged to expand towards related skills and creative endeavors. This is a challenge with any child, particularly those on the spectrum who easily get locked into familiarity and routines, however, it is a key point for their growth. Beyond building upon the child’s areas of interest Grandin feels that “stretching these kids,” is absolutely vital. Recounting her own experience of her parents insisting that she shake hands and serve hor d’oeuvres to guests at family gatherings, she learned to appropriately interact with people and perform expected social duties. This prepared her with some of the social skills needed to succeed in business situations as a young adult. I had the opportunity to speak with Dr. Grandin directly after her presentation and commented on her suggestions to involve your child with people in the broader community in natural and productive ways which I have written about in previous posts and for parent resource materials (see “using your natural resources to help your child with social challenges”). She fully agreed and we discussed the general idea as well as some of the methods one might employ. Of course the challenge for parents is to develop an individualized approach that taps into the “natural resources” at their disposal to best impact their child. When John Halligan talks, people listen. It’s been eight years since his wife Kelly called him while he was away on a business trip, sobbing that their son Ryan was dead. Ryan died by his own hands at the age of 13 after being tormented by schoolmates for months. As part of his healing process, John has made it his mission to change society’s awareness and attitudes about bullying. To date, he’s spoken at about 1,100 schools and has successfully lobbied for the passage of anti-bullying laws. This week John presented to student assemblies in Great Neck North and South Middle Schools as well as at a special evening parent meeting. When speaking with students, John makes sure that they get a real sense of who Ryan was and what led him to his tragic death. He challenges their own attitudes towards bullying confronting both bullies and the bystanders who enable the act through encouragement or more often silent acceptance. He also gives hope to those children being picked on, helping them understand, they are not to blame for their pain and offering some ideas on how to find help to get out of the situation. At parent meetings, John has a different goal; helping them avoid the tragedy he suffered. Here he explains some of the major changes that have occurred in the span of a generation. Although many parents might think of physical confrontations in the school yard, at this point bullying is more frequently expressed in emotional or relational terms. Furthermore, the online environment, an increasingly large part of young people’s lives can easily spawn inappropriateness and cruelty. This can have a particularly devastating affect on a young person when combined with callous in person interactions. John’s advice for parent; know what your children are doing online. While we’ve all become alert to dangers of pedophiles lurking in virtual space, most adults are clueless about the complex and sometimes harmful interactions that take place amongst the kids. Get familiar with the environment your children are operating within and set real and enforceable limits that are appropriate to their age and maturity level (see “Parenting Suggestions Regarding Technology” a guide sheet that John distributes on this topic). John points out that being able to sensitively inquire whether your child is being bullied or feels depressed is also a vital conversation. Studies have shown that increasing the opportunity for kids to talk about these issues decreases the risks of self harm. 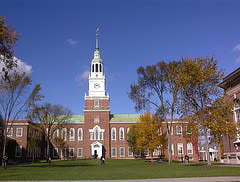 In fact surveys of teenage depression and suicide attempts have significantly decreased in Vermont, the state where John’s family lived and where he gave most of his talks. We can’t fix an exact number on how many young lives John has saved through his message of awareness and compassion, but we all hope brings some meaning to the tragic loss he’s had to endure. Special thanks to Dr. James Welsch and Denise Nolan, principals of Great Neck’s Middle Schools, their staff and other school district personnel who brought this excellent program to both the children and their parents.